Dave Maloney became the youngest player in Rangers history when he took the ice at age 18 on December 18, 1974. In 1978, he became the youngest captain in team history, and would go on to tally 317 points in his eleven-year NHL career, all but 52 games of which were spent with the Rangers. 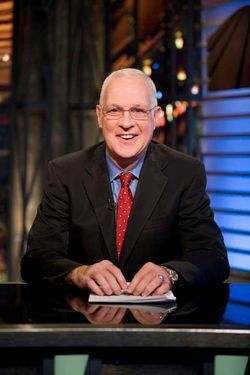 These days, the former defenseman serves as an analyst on the team's radio broadcast, as well as for MSG's Hockey Night Live. With the Rangers set to begin their 2011-12 campaign Friday in Stockholm, Maloney spoke to The Sports Section about the upcoming season, concussions, and why Gordon Lightfoot may or may not have 90,000 copies of "Hockey Sock Rock." You came up at such a young age, as did Michael Del Zotto, who struggled in his second year. What do you think he's going through right now preparing for this third season? Can you relate to what he's going through? Listen, I can certainly identify with him. I think what happens is, first of all, the position is the most vulnerable one, and I'm not saying something that hasn't already been voiced about being a young defenseman. Mistakes you make, generally, are glaring. There's really no place to hide. The goaltender can't stop everything, and if you're up front, there are places to hide. On a blue line, you can't really hide. When you make that mistake, a lot of times it's a crucial one. I think Michael, and a lot of guys who go through the league till they really trust that they know how to play, really don't understand. And that first year is just a year of, your eyes are wide open, everything seems to happen, and if it breaks right, you really have no grounds to really know why. And I suppose that's the innocence of youth. And then you come in your sophomore year, and now you've got a little bit of a taste of it, and you think you're going to be everything to everybody, and you really still haven't got a clue how to play. Or really even how to live as a pro. You're still so young. Speaking of defensemen, Marc Staal is still out with a head injury, and it seems like we're hearing a lot more about head injuries these days. Is it just that it's talked about more, or is this a bigger problem now than it was when you played? There's so much more pursuit of the puck now. When you watch the old video of when we played, everybody had more time. Everybody had more room. Ron Greschner, a wonderful player and a friend — he seemed to have the puck forever. He would have the puck for as long as he wanted it. But amongst the changes to the game, the pursuit of the puck has become even more evident since the lockout, because now you can't hold anybody up. So, to me, the guys are bigger and faster and stronger, and the ice hasn't expanded in the proportion that the athletes have gotten bigger and faster and stronger. And it's almost like NASCAR without lanes. If you allowed NASCAR cars to go wherever they needed to go to get there, there would be collisions all over the place, and I think that's what's happening now. In our day, when you did get hit, you certainly weren't encouraged to think about the long-term consequences of a hit to the head. It just wasn't good, bad, or indifferent. Hopefully, as we evolve, you become more and more aware of things and you treat it with the respect you should. I played for John Ferguson — and God love him, God rest his soul — but with him, it was like, "tape an aspirin to it." I think from that standpoint, an athlete now, certainly as we move along, has been encouraged to be more educated about his health when it comes to the brain. And he has the right now to say, you know what, I don't feel right. That doesn't cost him an opportunity. There isn't that kind of thought of, "You know what, you don't want to play, you're not going to play. We'll get somebody else to play." And on the science side of it all, we're beginning to understand how it all works when you get hit, and what happens. When you were a player, were you ever in a position where you took a blow to the head, and just played through it for exactly the reason you say — you didn't want to speak up? Oh sure. I once went headfirst into the boards in Washington chasing the puck with no helmet. To me, it's not passing judgment on anything, other than, that's what it was then, and this is what it is now. And I think it's healthier now, and there are reasons why it's become more evident now, because of the way the game is played. Personally, I don't have any qualm, or whatever the word is, thinking that the times were different. Did I play concussed? Yeah. I'm 55 now. Do I remember as much as I used to? Probably not. But I don't know that that's anything but aging. You did what you had to do, and you lived with the consequences. And I think now, guys will do what they think they have to do to protect themselves. Is that a concern, say, when speaking now with guys you played with, that you might start to feel the effects of that as you get older? Is that discussed among former players? Well, you know what, we've got our Ranger alumni golf tournament next week. I'm not sure that conversation will come up. And if does come up, I don't know where it would head, other than there are a lot of times where anybody can look back and say, boy, if we had known then what we know now, would it be any different? And I'm not sure if it would or it wouldn't. I just think as we move along, education on any issue hopefully works for the better, and I think that's where we're at. What do you think is a realistic goal for this year's team? I think realistically the next step should be not to be hoping that Carolina loses at home in Game 81 or Game 82 or whatever it was to get into the playoffs. I think they should be a solid playoff team. I think they should be able to compete for the division, although I think Philadelphia and Pittsburgh — I wasn't quite as sold on Philadelphia with their moves in the offseason until I saw them play in the exhibition season. And I think if Jagr can keep up what he's doing with those two magicians he plays with, Giroux and Briere, he might score 50. That's a little different look from Philadelphia. But that being said, it's a long way from April, too. And I think Pittsburgh's going to be good. I think Malkin may very well be the MVP of the league, and if Crosby can get back, that's a pretty solid team. It's not a guarantee either way that the Rangers will compete for that top spot in the division, or that they won't compete. I think the Rangers are a very solid team, and I think Brad Richards is a second top-six forward. I think his role beyond what he can do for Marian Gaborik — I think what he brings with his relationship with the coach is very, very important over the course of a season. The health of Marc Staal is critical for what they can do. I think they are really a solid playoff team with where they are with their youth, and the acquisition of Richards, and all those things. Lastly, I gotta ask: How exactly did "Hockey Sock Rock" come about? [Laughs.] Well, it's funny because everything we were able to do with "Hockey Sock Rock," we did a Sasson jeans commercial, my brother Don got a 7-Up commercial — that all came out of the fact that we'd gone to the Final the year before. And don't kid yourself, there's an awful lot of benefit to winning, and we didn't even win it all. So what happened was, Sonny Werblin would come in — I'm not sure the details of how he ended up running the Garden — but ... the point was there was an emphasis on, "Okay, we gotta get these guys out there." So we go to the Finals, and that summer, Phil Esposito was good friends with Alan Thicke, the Hollywood guy, whose son has juvenile diabetes. And so we were going to be out in California doing Dinah Shore's show. Phil had coordinated it with Alan Thicke that we were going to record this 45 and any money that was raised was going to benefit juvenile diabetes. So that's how it all kind of evolved. We never would have had the chance had we not been a good club. Secondly, we were involved with the Sasson jeans thing, and we were doing that. And we recorded the record, came back, and made that video. I don't think I'd ever seen it again, until everything now is viral. I actually got three e-mails this morning because my son Danny posted it on his Facebook. It was fun, though. I gotta tell you, it was fun. Do you look back and cringe a little, or is it just all in good fun? It is fun to look at now. I must admit, when I originally looked back and saw it, I was like, "Oh my God." But yeah, I think it's cool. I remember the next season we had a horrible season. I had a horrible season. It certainly wasn't as much fun then. That's the thing. Is that actually you guys singing on the track? Yeah, we did sing it, but I think they fixed it up. A lot of the final copy is Phil, because Phil and Alan Thicke were good buds. Most of what I can recognize of my participation is basically background yelling. Actually, the final salvo was, we were awarded, I guess it was a bronze, or a platinum, record for 100,000 copies sold. But the story goes that Alan Thicke and Gordon Lightfoot were great pals, and that Gordon Lightfoot actually bought 90,000 copies. I'm not sure it was a big seller beyond Gordon Lightfoot. I don't know verbatim if that's true, but that seems to be the lore of the story. Ultimately, it all went to a good cause, but 90 percent of the sales were to one guy.